All properly installed Sliptech products are guaranteed to increase the coefficient of friction of the surface for two (2) years, provided appropriate surface preparation and cleaning procedures are followed and no contaminants are present. If, at any time during the warranty period, the treated surface should lose its coefficient of friction, Sliptech shall at its option replace the product. 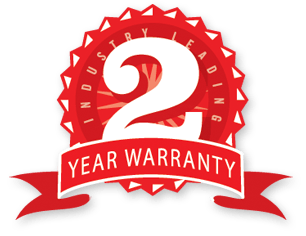 This warranty is limited to replacement of the product only. Sliptech shall not be liable for any injury, loss or damage, direct or consequential, arising out of the use or the inability to use the product. Before application, User shall determine the suitability of the product for the intended use, and the User assumes all risk and liability whatsoever in connection therewith. No statement or recommendation not contained herein shall have any force or effect unless in an agreement signed by User and Sliptech. User assumes all risks and responsibility associated with disposal of the product. Sliptech cannot eliminate all possibilities of slip-and-fall accidents.